August | 2010 | Promotional Incentives, Inc. I came across this name badge in a memorabilia box over the weekend. It gave me pause to reflect on my early start at the importance of recognition products. I earned this badge while attending the University of Vermont where I was enrolled in the sports therapy department in a work-study program. After floundering in pre-med science courses, I found comfort in the athletic training program which relied more on practical knowledge and simple science, not organic chemistry and advanced anatomy. The work-study program was ideal for me. I was able to be in the gym for hours, which was where I spent a lot of time with sports practices and games anyway. The building was practically adjacent to my dorm the first year and close to off-campus housing the second year. Afternoons were spent with college athletes and learning how to tend to their injuries and help with self-maintenance. In addition to earning credits toward my degree, which at best was nebulous and ill-defined, I was paid for the hours spent in the training room and loved the social aspect of the “job”. Twenty seven years later, I still believe in the importance of recognition products, namely ID badges. 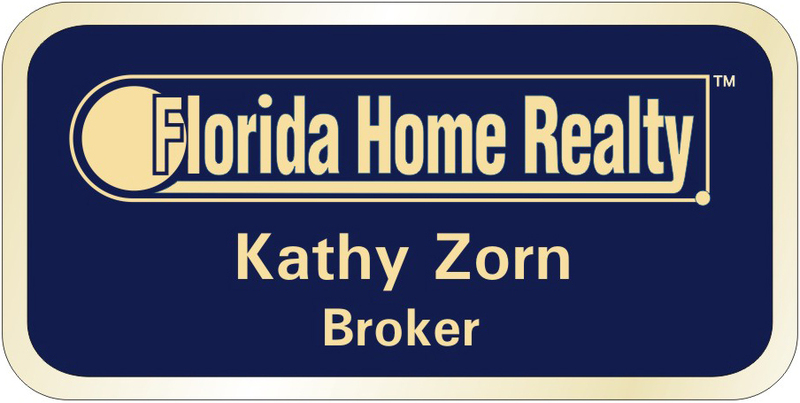 Professionally produced name badges are a critical component of promoting your brand to the public. For a nominal investment, you receive a great return with a finished, professional look wherever you or your staff are seen. People will notice a nicely done badge, and if properly laid out, will easily be able to read your name and company. As opposed to squinting to try and read your hand written name in Sharpie scrawl on a badge that doesn’t adhere well to clothing…hardly impressive. In the case of my college badge I reflected on the choice of my PT manager to go with an abbreviated last name and wonder what drove him to that decision. 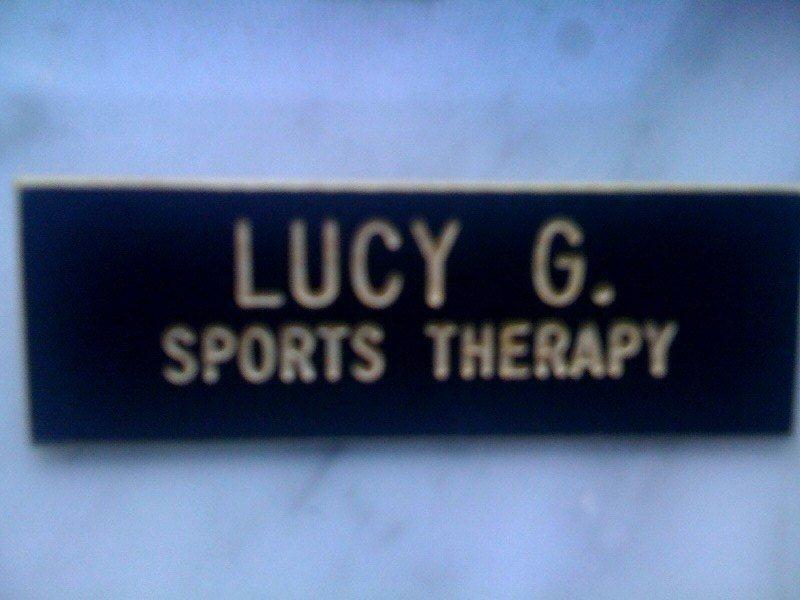 Was it because: a) It rhymed (Lu – cee Gee in Sports Ther – a – pee), or b) For protection of my last name as a college student, or c) At my request because my maiden name (Gobbi) was forever being mispronounced. Trust me, when someone asks you to “Order name badges for everyone in the office”, it pays to work with a professional who will streamline the process. All of a sudden you’ll find yourself dizzy with the details overlooked (metal or plastic, magnetic or clip, black or white, 3-1/2 x 2 or 3 x 1, and so on). 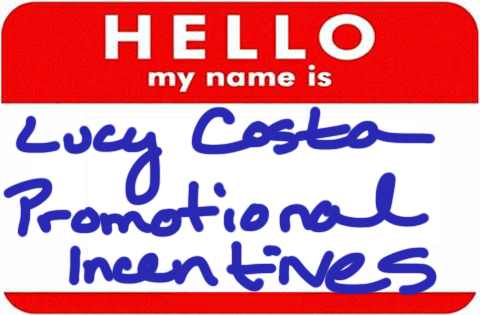 Promotional Incentives, Inc. provides a user-friendly name badge program that reinforces the quality of your brand while conveying a positive image for and about your employees. With our Badge Warehouse program, pre-printed badges are held in inventory for release as few as one at a time for the next several years.